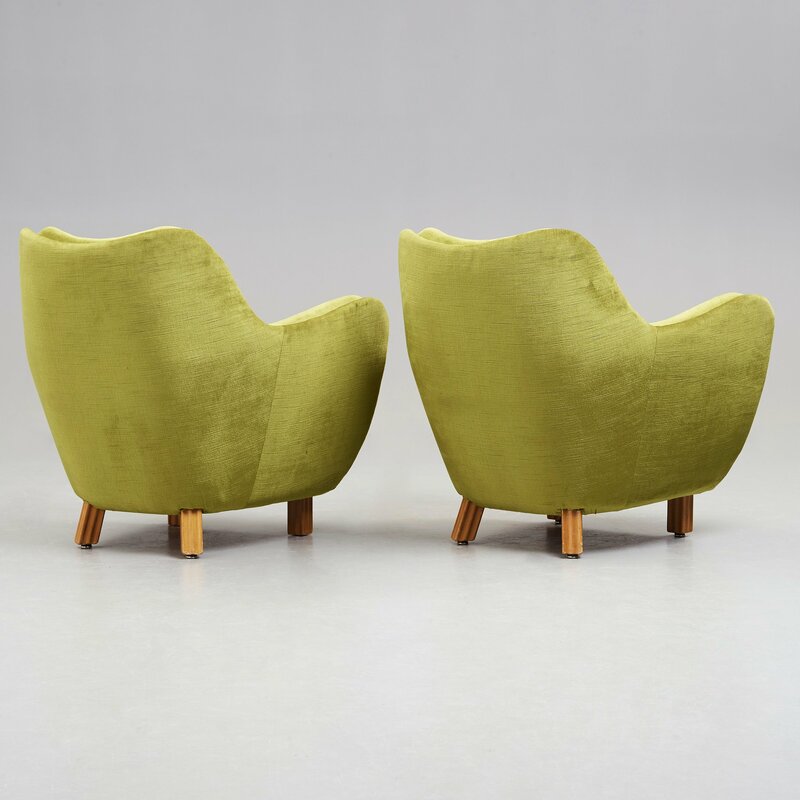 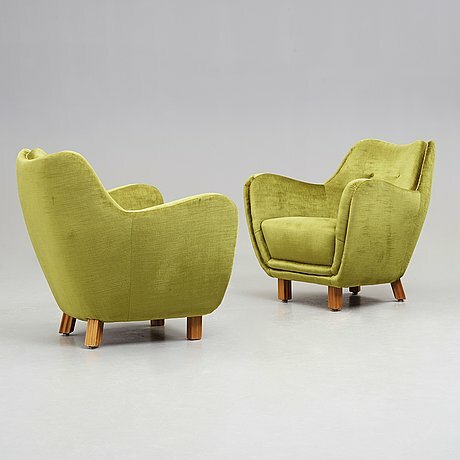 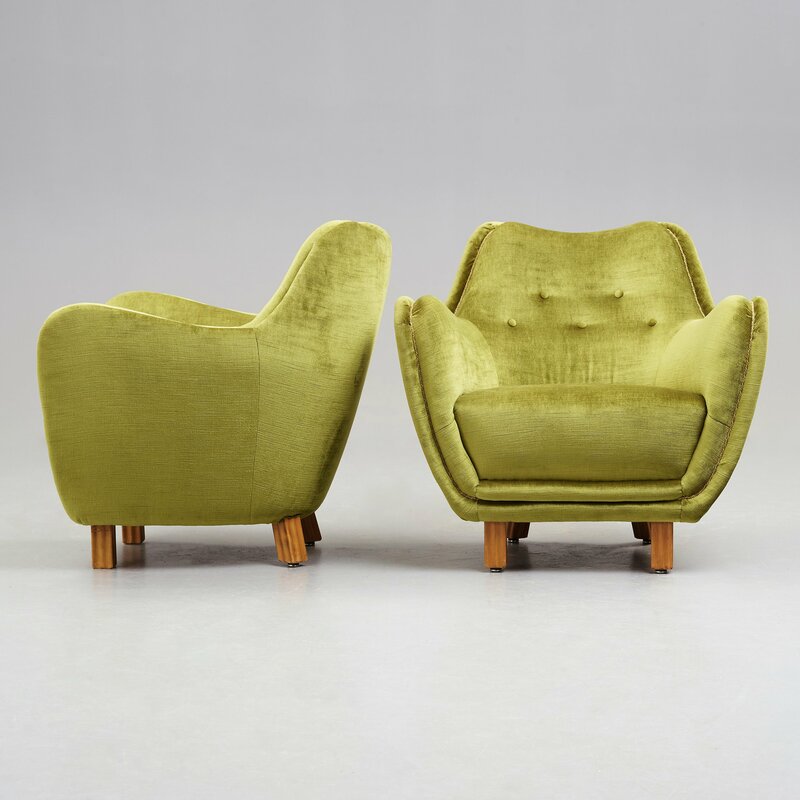 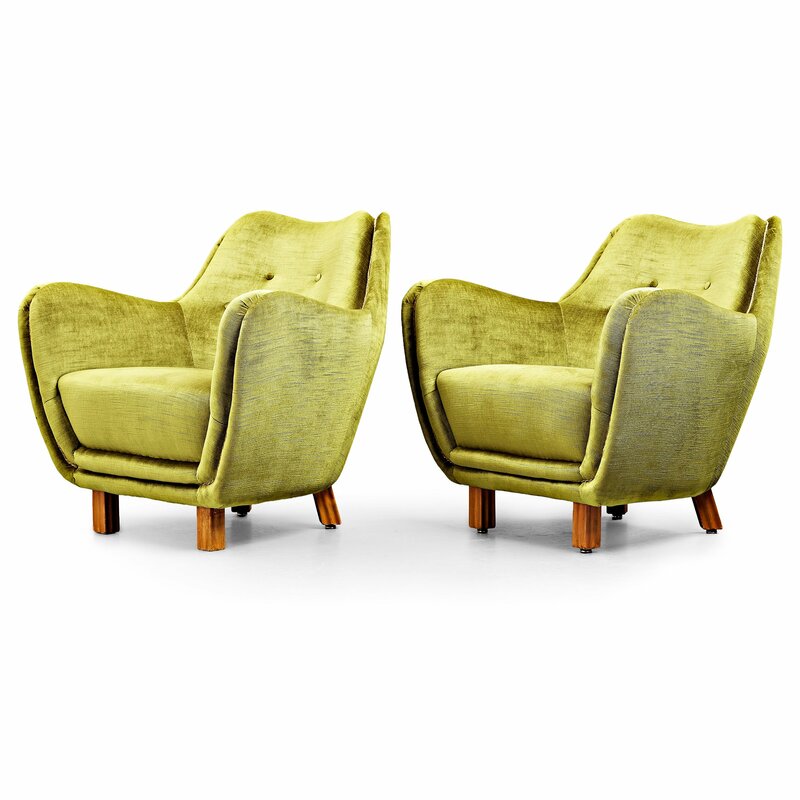 A pair of Swedish Modern easy chairs, probably 1950's. Upholstered in green velvet plush, wooden legs. The model was shown at Önskehem's exhibition in 1952, illustrated in the catalogue and retailed by Levy Carlsson.